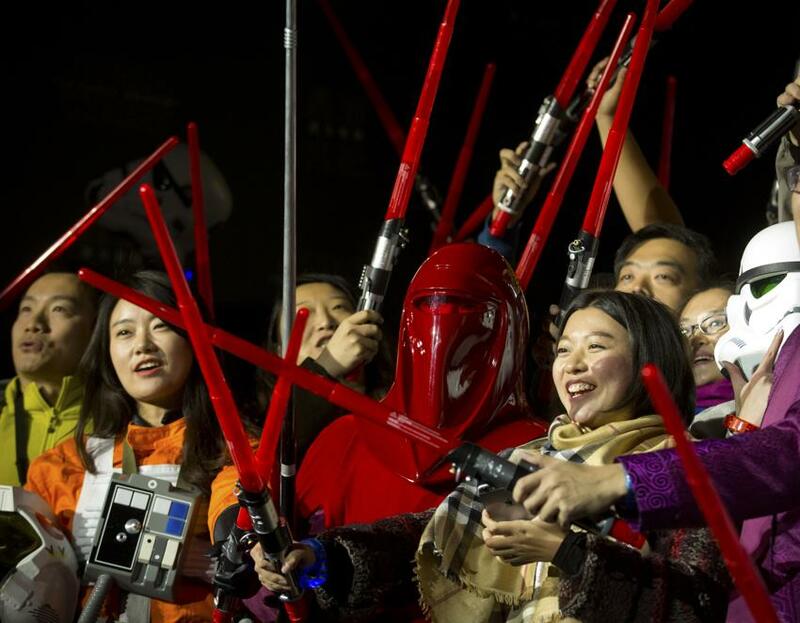 The gold rush to buy tickets for the newest Star Wars film has its first speculators. Boston-area fans tried their luck buying tickets online immediately following the film’s newest trailer airing Monday night, but with such huge demand and ticket sites crashing, online scalpers quickly looked to take advantage. 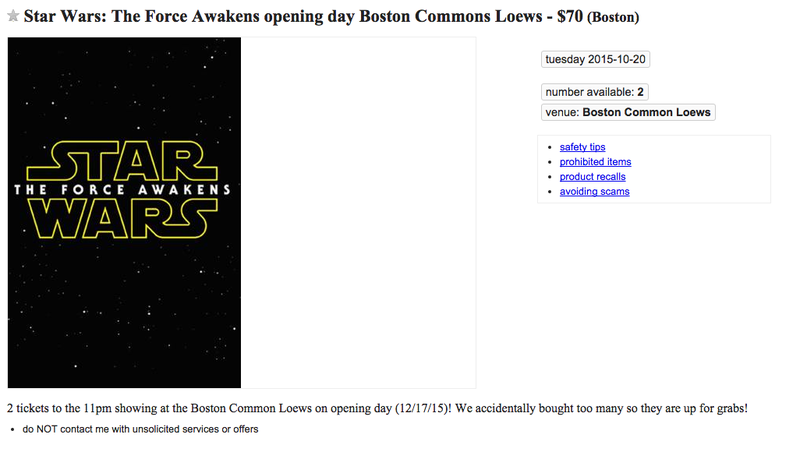 Want to see The Force Awakens on December 17 at Boston Common? Be ready to shell out $70 for tickets. 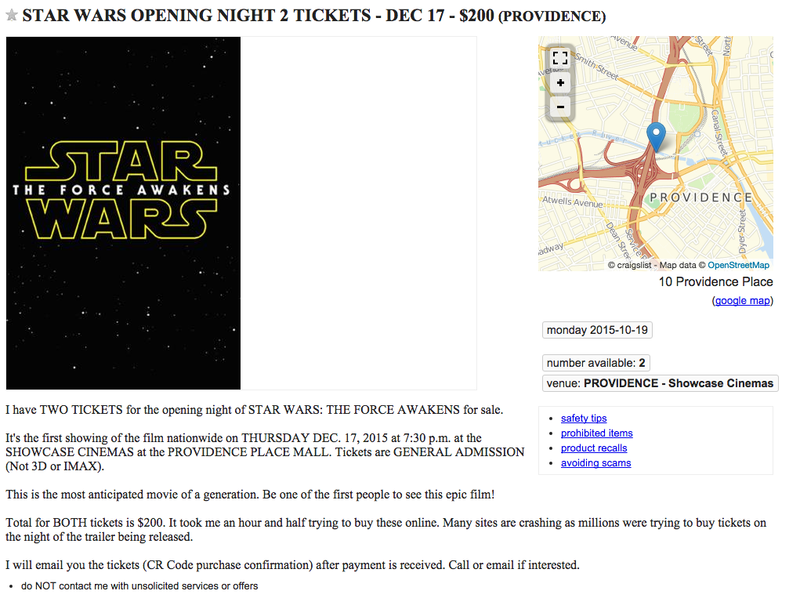 Looking for an Episode VII screening in Downtown Providence? Better have $200 if you want a pair. Other salesmen were more judicious, listing the tickets for $1 while waiting for the best offer. 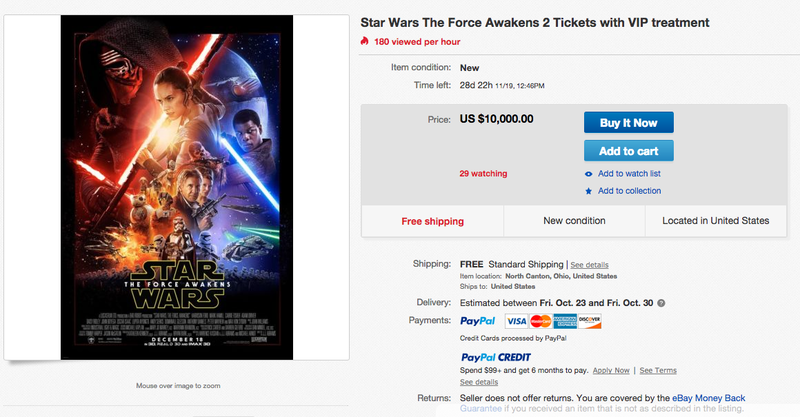 We reached out to several of the Star Wars scalpers to find out what the going rate for a pair of tickets was. 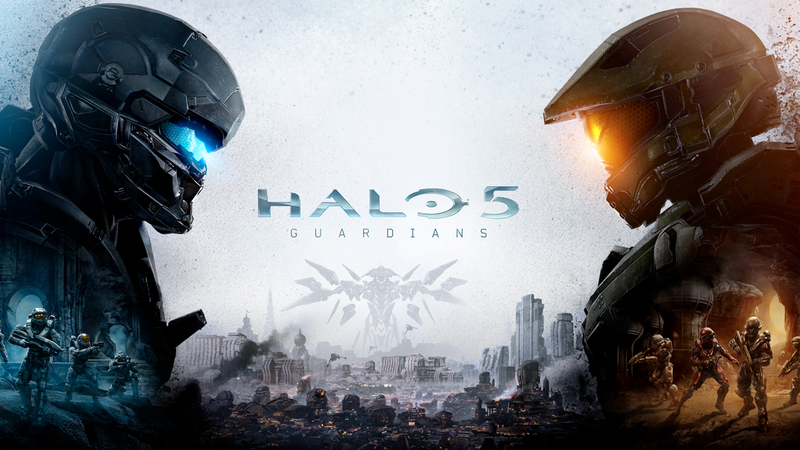 One poster said he was offered $20 over the listed value as well as a copy of highly anticipated video game Halo 5 prior to the game’s October 27 release, but was still weighing offers. Another said he was offered $100 for a pair of tickets, but is now hoping to orchestrate a trade for Patriots or Bruins tickets. 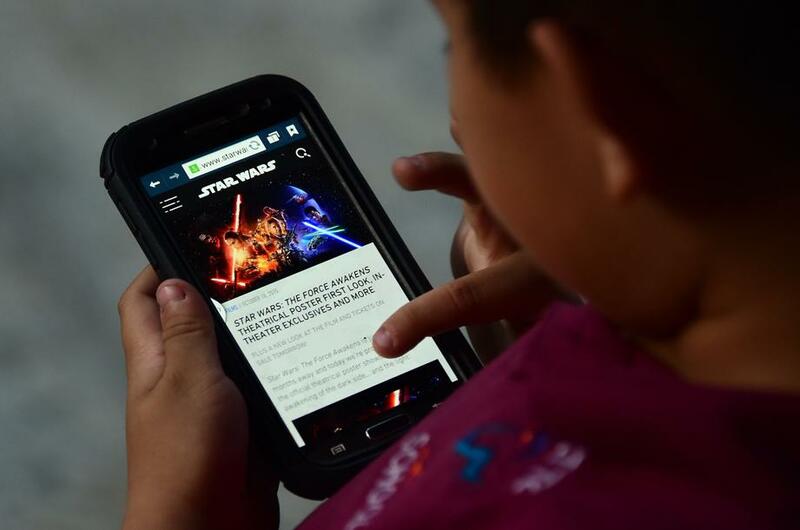 One seller we reached by phone admitted he scalps sports and concert tickets on occasion, but Star Wars was his first foray into movies. 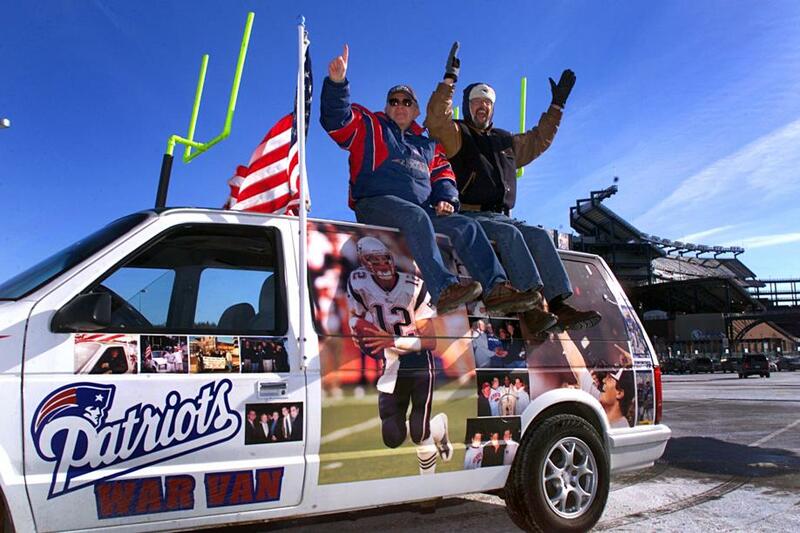 Boston-area prices aren’t as ridiculous as the $1000 needed to buy tickets in Los Angeles. Or the outrageous $10,000 for a pair of tickets in North Canton, Ohio (don’t worry, limo rides to and from the theater and hotel accommodations are included). 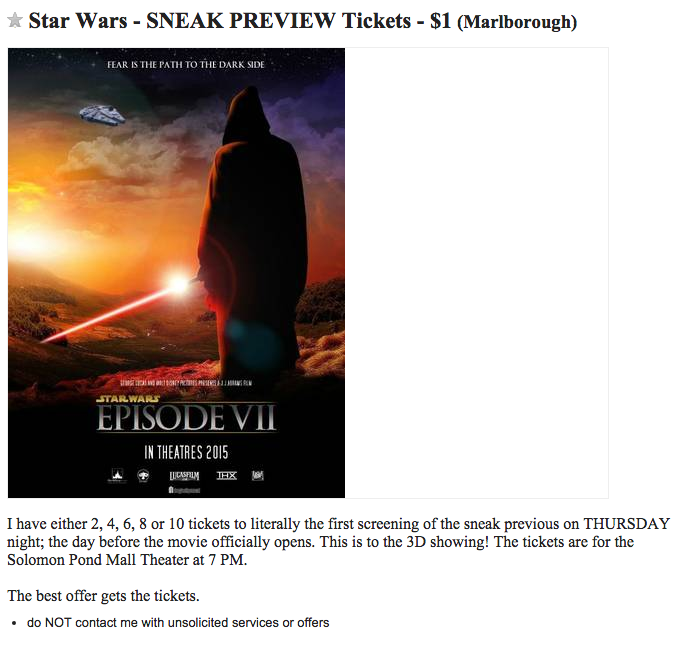 But New Englanders will still have to shell out some serious dough if they want the force to be with them on opening night. You could also wait a few days to see the movie, but why do something crazy like that?